Description: Do you garden? If so, have you ever wondered what the potential of a single non-hybrid tomato plant could be? My guest this week, Craig Floyd, manages an 11,000+ square foot acre garden for the Denison Pequotsepos Nature Center in Mystic CT. Passionate about sustainable farming; he gives us detailed advice about soil health, water needs and practical tips for any level gardener. It’s exciting to meet folks like Craig who are out there walking the talk, growing fantastic gardens. He relates how troubled children, teens and those with disabilities are transformed by walking in his gardens, how the soil heals. Fascinating? Definitely! I hope you will join us and leave your comments. They are appreciated. What a great podcast. I thoroughly enjoyed listening to it. 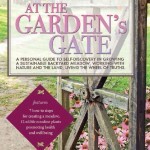 It had great information for both the seasoned and novice gardener. I plan on mixing up some of the potting soil for my potted garden. Thanks for all the great information. I plan on visiting Coogan Farm in the future. Thanks, Jackie, glad you enjoyed it. Craig is dedicated and passionate about his gardens and being a part of the solution for food scarcity. the farm and nature Center also have many trails. It’s a beautiful place.. This was great! The paths of more information were very educational.